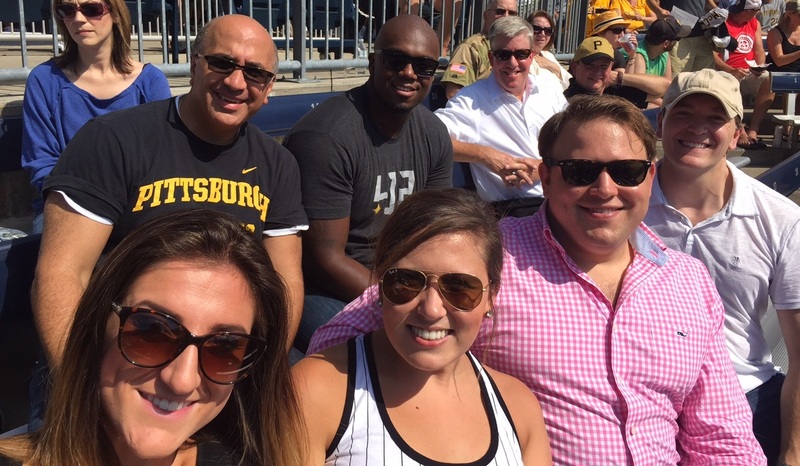 Colliers International | Pittsburgh hosted their 4th annual outing to PNC Park as the Pittsburgh Pirates took on the Chicago Cubs. Despite the Cubs 9-6 win over our beloved Buccos, everyone enjoyed the afternoon full of greasy food, beautiful weather and great company! The Pirate outing was yet another success that gave Colliers International | Pittsburgh an opportunity to build employee relationships and celebrate the hard work and dedication that contribute to making the firm a competitive commercial real estate team. 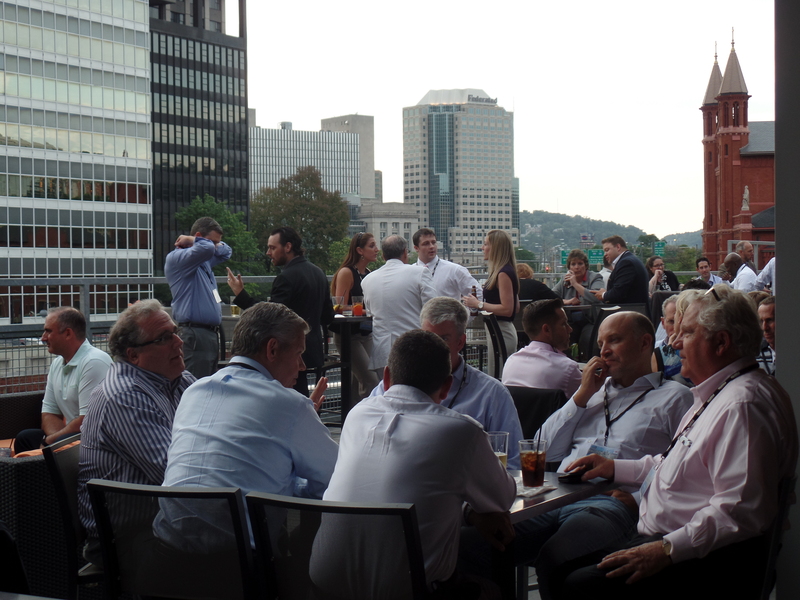 Commercial Real Estate professionals from several Colliers International offices convened in Pittsburgh last week for two days of networking, meetings, and presentations. The Pittsburgh Regional Alliance, Civil & Environmental Consultants, and Oxford Development sponsored this inaugural Colliers Regional Meeting at PNC Park. Brokers and service line leaders from Colliers International travelled from California, Connecticut, Illinois, Maryland, New Jersey, Ohio, Virginia, Washington D.C., and across Pennsylvania on Wednesday for dinner and networking on the rooftop deck at the Blue Line Grille, directly across the street from Consol Energy Center. “The Colliers Regional Conference brought together market leaders, brokers and service line experts to strengthen internal relationships and expand our ability to service clients, whether they are building owners, large corporations, law firms, banks or health care institutions across the state and throughout the region,” explained Joseph Fetterman, Executive Vice President of Strategic Initiatives for Colliers International offices in Eastern Pennsylvania and Delaware. 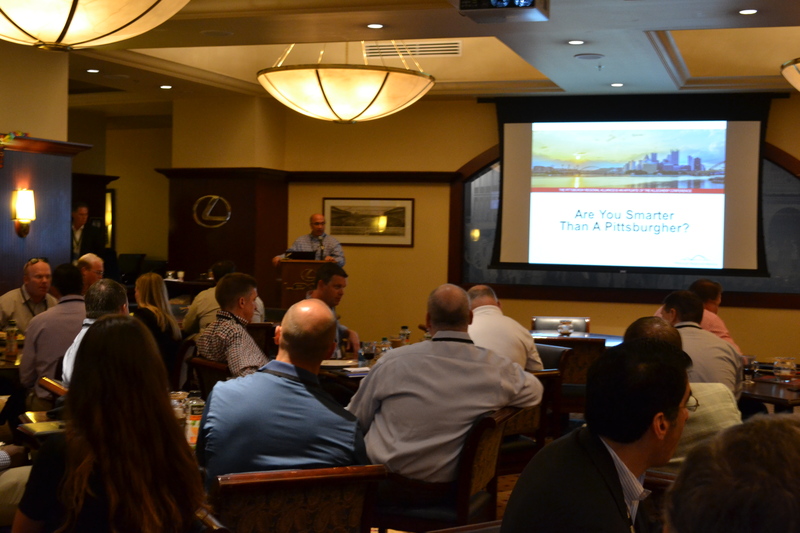 Thursday began with breakfast in the Lexus Club and a Pittsburgh-themed trivia contest and presentation by the Pittsburgh Regional Alliance. Industrial, Office, Retail, and Investment break-out sessions followed, which included collaboration meetings; presentations on energy, healthcare, ADA compliance, corporate solutions, and capital markets; and a panel discussion from some of the area’s largest office users. Gregg Broujos introduces the Pittsburgh Regional Alliance in the Lexus Club at PNC Park. The long day ended with a view of the downtown skyline from the bleacher seats at PNC Park as the Pirates took on the Nationals and an amazing display of Zambelli Fireworks.